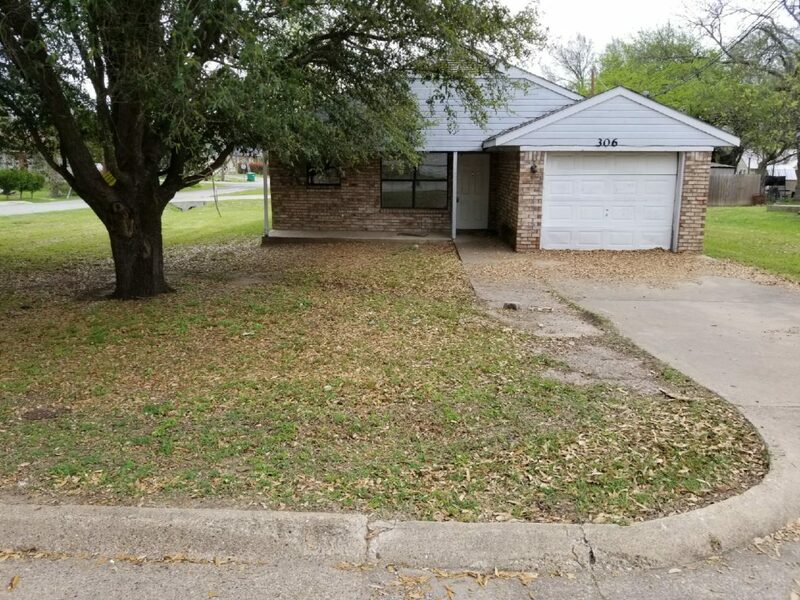 306 N. Wilson Street, Kaufman, TX 75142 is a 3 bedroom, 1 bathroom house with a converted garage. It was built in 1991 and has 1,264 square feet of space. This home is available for $1195/month lease to own; $1,295/month rent as is; $139,900 cash purchase price; or $149,900 owner financed.